While much attention is given to the likes of Apple and Samsung, they aren’t the only two companies around. In fact, phone manufacturer Alcatel is having quite a year so far. The company launched a slate of new phones at MWC 2017, as well as a 2-in-1 Windows device, and they’re all unsurprisingly aimed at the budget market. Here’s everything we know about Alcatel’s 2017 smartphone lineup, as well as the details about the 2017 phones that have already been released. Alcatel’s latest smartphone may not be all that impressive in the specs department, but it does have some very interesting things to offer — namely the fact that it’s the first phone to sport a dual rear-facing camera and dual front-facing camera. The phone is somewhat of a surprise. It really just popped up on the Alcatel Saudi Arabia website without a press release or any rumors to speak of. Unfortunately, it seems as though the phone is currently only available in a few select markets, including Bahrain, Kuwait, Pakistan, and Qatar. Under the hood, the phone features a MediaTek Helio X20 chip, along with 3GB of RAM and 32GB of internal storage. When it comes to the aforementioned cameras, you’ll find a pair of 13-megapixel rear-facing cameras, and dual cameras on the front with 8-megapixel and 5-megapixel sensors. The phone also features a 3,100mAh battery and a 5.5-inch full HD display. 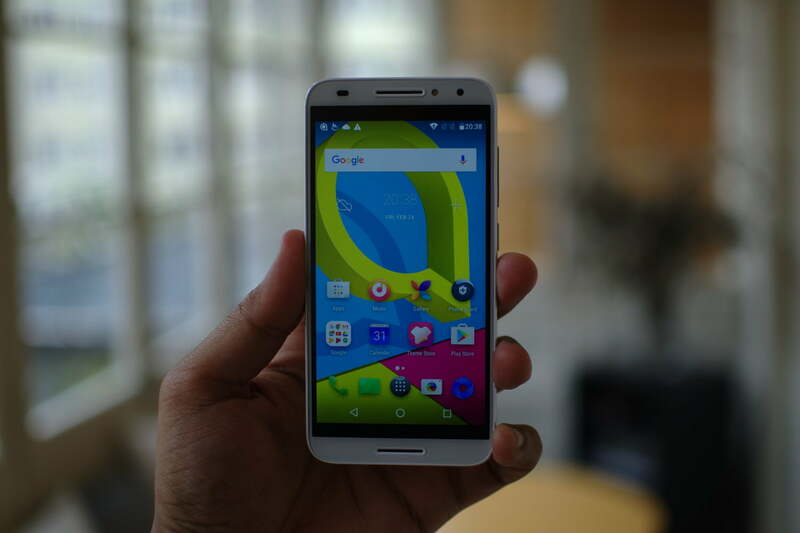 It will ship with Android 6.0 Marshmallow. Alcatel’s 5.2-inch A5 essentially brings Motorola’s Moto Mods to budget devices, though perhaps not in the simplest fashion. 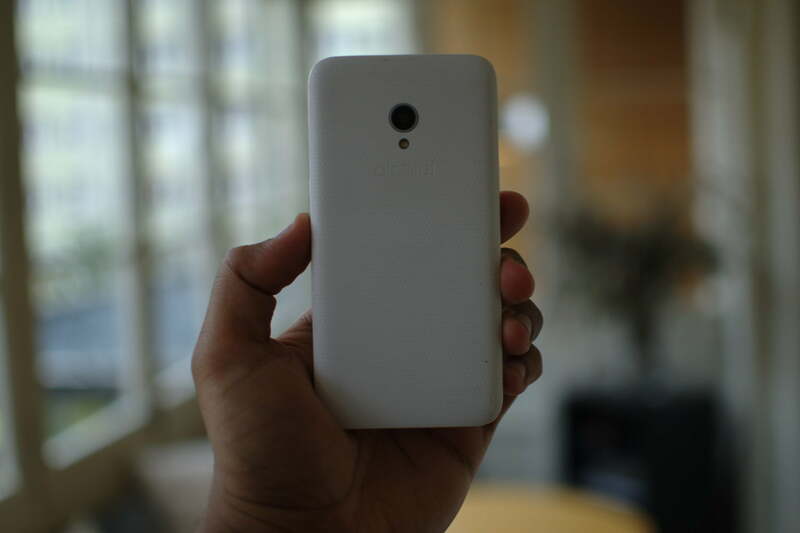 The A5 offers sub-$50 replaceable backs, some of which are purely cosmetic, but others offer more uses. For example, there’s a speaker with a kickstand you can attach to the back of the A5, as well as a battery pack that doubles the phone’s battery life. It’s very similar to Motorola’s Moto Mod launch, which offered a JBL speaker mod as well as a battery pack mod, and more. But Motorola’s mods were separate accessories that magnetically snapped to the phone. The plastic backs for the A5 are literally the back of the smartphone — you can’t just take one off as you’ll have to replace it with something. Taking them off is like taking off the back of a phone with a removable battery. The highlight Alcatel is touting is the LED, an accessory that covers the back of the A5 with colorful LEDs. Using various apps, you can light up the back of the A5 with different patterns and colors to match your mood. Or you can even use the camera to automatically pick three colors of your outfit or whatever you point at to change the phone’s wallpaper and app icon colors to match. The LED back also lights up with the icon and matching color of select apps when you get a notification from them, like Facebook or Twitter. If you’re playing music, you can have the lights dance to your tunes. The phone itself only has a 720-pixel resolution, and it’s powered by MediaTek’s 6753 with 2GB of RAM. It has a 2,800mAh battery that charges via the MicroUSB port, and you’ll only find 16GB of internal storage, though there’s support for a MicroSD card. The rear camera only has 8 megapixels with electronic image stabilization, and the front is packed with 5, though it uses a wide-angle lens. Unfortunately, the A5 only runs Android 6.0 Marshmallow. It’s the only smartphone in this list that’s likely coming to the U.S. We don’t have any pricing or availability details yet. The A3’s distinct feature is the fingerprint’s sensor ability to add various fingerprints to launch apps from the app screen — something a lot of smartphones can do these days. The 5-inch HD device is powered by MediaTek’s 6737 processor with 1.5GB of RAM. Again, you’ll find 16GB of internal storage with a MicroSD card slot that allows for more, and a smaller 2,460mAh battery that charges via MicroUSB. It also runs Android 6.0 Marshmallow. 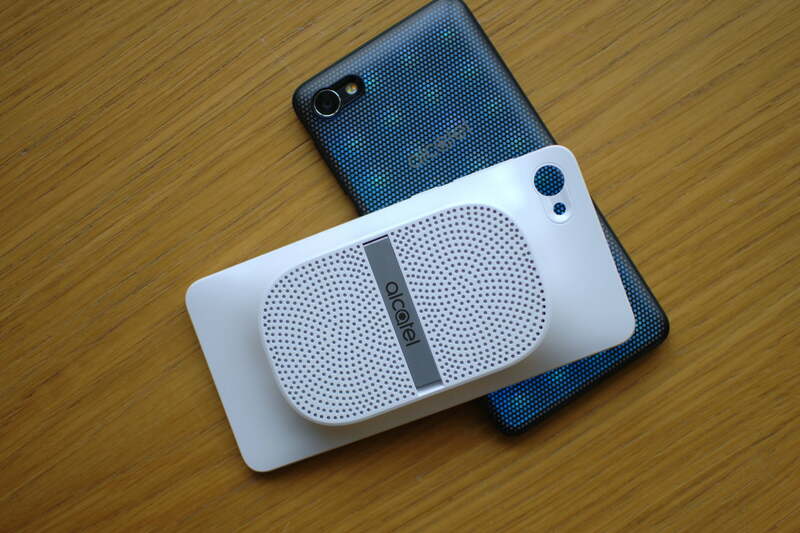 The 5-inch U5 is the runt of the litter of smartphones from Alcatel today. It has some of the selfie-camera functionality of the A3, but it’s powered by MediaTek 6737M processor with 1GB of RAM. It only has 8GB of internal storage with MicroSD card support, Android 6.0 Marshmallow, and a 2,050mAh battery. It has a 2 megapixel front camera and a 5 megapixel rear one. Pricing and availability for the A3 and U5 were not disclosed yet, but they will not be coming to the U.S. If you’re in need of a low-cost, low-powered Windows 10 2-in-1, the Alcatel Plus 12 may be a decent tablet option that offers 4G LTE connectivity. It features a 11.6-inch 1080-pixel resolution display, and it’s powered by an Intel Celeron N3350. You’ll find 4GB of RAM, as well as 64GB of internal storage with an embedded 32GB MicroSD card. There’s a 5-megapixel front camera, and the tablet has a 6,900mAh battery. It charges via a USB Type-C port, and there’s a fingerprint sensor that’s compatible with Windows Hello. The tablet laptop hybrid features a detachable 4G LTE keyboard that also doubles as a Wi-Fi hot spot for up to 15 devices. It has a 2,850mAh battery, and a Qualcomm MDM9207 chipset. There’s also the Alcatel Idol 5 and the Idol 5S, which are Alcatel’s higher tier phones. Updated on 04-04-2017 by Christian de Looper: Added news of Alcatel Flash launch.